Assassin's Creed Odyssey follows last year's Assassin's Creed Origins that brought sprawling Egyptian environments and a revamped combat system akin to the Dark Souls titles. On the surface, Assassin's Creed Odyssey tries to distinguish itself by letting you choose between two playable characters and some tweaks to its moment to moment gameplay as we discovered in our preview of the game. But is there more to Assassin's Creed Odyssey than just some superficial additions? Continue reading our review to find out. For starters, Assassin's Creed Odyssey is a clean break from the series' convoluted timeline and events. It's set prior to the establishment of the game's two major factions — the Templar and the Assassin Order. Rather than play as someone like Bayek of Siwa, the Frye twins, or Ezio, you're either Alexios or Kassandra, warriors from the bloodline of the Spartan King Leonidas. There's a sinister group called the Cult of the Kosmos that threatens the world as it was known, with a war brewing between Athens and Sparta, and of course, the story of Alexios or Kassandra trying to find and reunite their family after being torn apart by a prophecy gone wrong. The conceit of being of a warrior's bloodline allows for some interesting additions to the gameplay. Unlike Assassin's Creed Origins, here you're able to gain and equip new skills as you play. These include warping to an enemy location for a quick kill, using arrows that kill foes through walls, and of course, kicking soldiers off ledges with a powerful kick that'd feel right at home in 300, the movie. 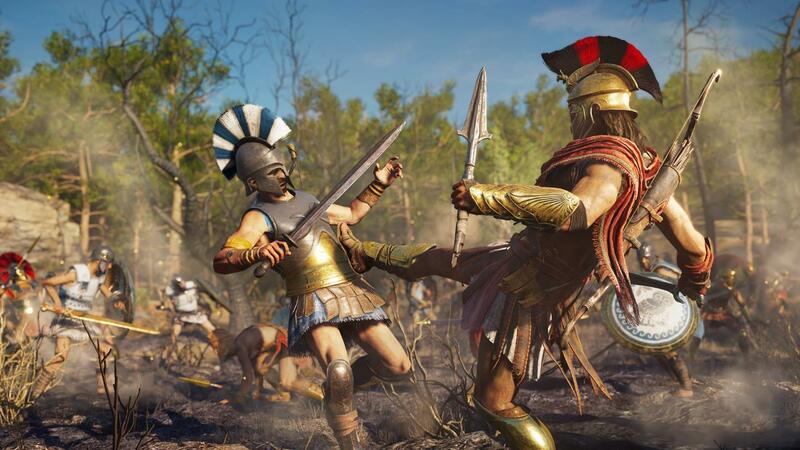 Throw in combat that feels a lot more responsive and faster and that you'll unlock new abilities at a steady pace means combat through Assassin's Creed Odyssey's 30-odd hours doesn't get stale. There's a sense of flexibility too, allowing you to swap between the game's three skill trees — hunter, warrior, and assassin at any given time to ensure you're never underpowered for a specific mission. Progressing through Assassin's Creed Odyssey's many plot points and chapters is a breeze too. This is because, while each area has a well-defined level of difficulty, the skills at your disposal and their aforementioned flexibility are enough for you to tackle high powered foes, making for a game that's less about the grind, and more about hitting crucial story arcs faster. That is not to say there's no side content. Assassin's Creed Odyssey has a lot of it. Even when you're just going through minor quests — such as discovering the fate of a pirate crew or hunting down magical creatures for a cult known as the Daughters of Artemis — Assassin's Creed Odyssey doesn't feel like busy work. Everything adds to your understanding of the series' lore, or grants you access to weapons or armour to help you on your way. This is telling when you consider that a bulk of the franchise's past entries leaned heavily on extraneous content that did little to further your progress through the main story. 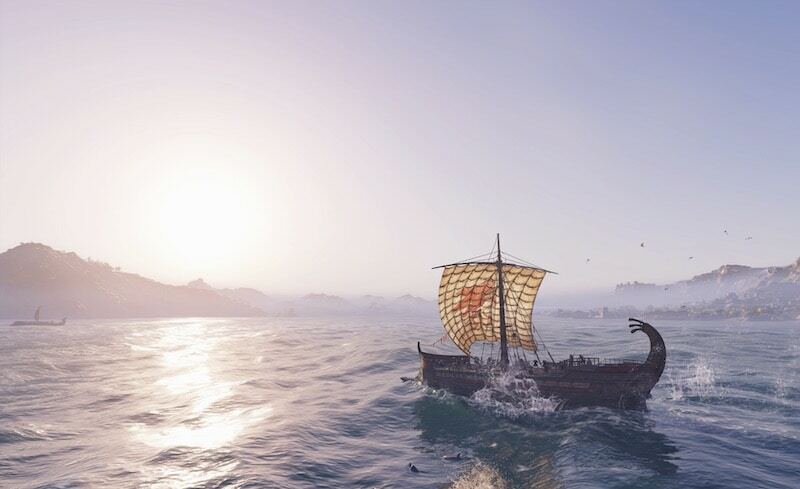 With Assassin's Creed Odyssey taking place in Ancient Greece, you'll find yourself on the high seas ever so often. Past games such as Assassin's Creed 4: Black Flag had their fair share of naval sections as well, but in Assassin's Creed Odyssey they form a larger part of the gameplay. You'll upgrade your ship with more fire power and better armour as well as recruit all manner of non-playable characters to your crew. Doing so adds bonuses to your ship like an increase in health or attack power. The controls are just as polished on sea as they are on land which means turning around a 90-foot vessel and launching a barrage of javelins in a few seconds may not be realistic, but it sure feels great. While all of these are not entirely new to the Assassin's Creed franchise, the element of choice surely is. 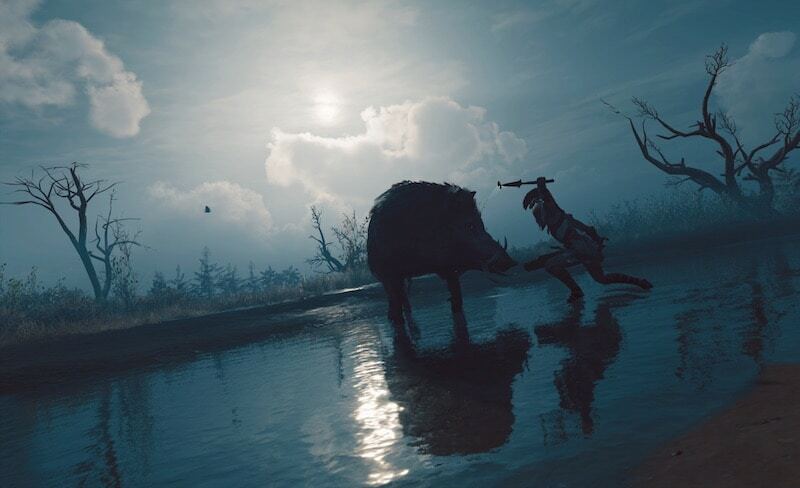 Taking a leaf out of role-playing games like Mass Effect and Fable, your choices in Assassin's Creed Odyssey have consequences that are far-reaching to the story. From what you say to certain characters to killing off others, your actions determine how the story plays out and impacts the inevitable ending you see. This means you can never be sure what impact your decisions will have; they're not colour coded as good or bad as they are in other games. Instead, you'll have to see how they play out over the course of Assassin's Creed Odyssey, not too dissimilar to The Witcher 3. It impacts how you play in meaningful ways and shapes the game world too. Without spoiling much, the narrative pay off and variety therein is welcome and does a lot to shake up how we'd approach certain sections of play. This makes Assassin's Creed Odyssey the closest the series has been to a traditional role-playing game, which is never a bad thing. Our only grouse is how Assassin's Creed Odyssey's photo mode works. Throughout your journey you'll be able to freeze the action and snap an image of what's on screen. However on the Xbox One X, none of these images are stored locally on your device. Rather they're uploaded to Ubisoft's website. This makes accessing and sharing them a bigger hassle than they should be. Comparatively, the PS4 and PC versions save images from photo mode on their hard drives too. It's a boneheaded decision for a game that has you taking a lot of photos because of how good it looks. This minor gripe aside, Assassin's Creed Odyssey is an enjoyable romp through Ancient Greece. Its changes are both subtle and sweeping and they come together to make one of the best entries in the franchise since Assassin's Creed 2 on the PS3 and Xbox 360. If you're a fan of the series or just jumping in, Assassin's Creed Odyssey is a great place to start. Gadgets 360 played a review copy of Assassin's Creed Odyssey on an Xbox One X. The game is available on PS4, Xbox One, and PC from October 5 for Rs. 3,999 ($60 in the US). product Assassin's Creed Odyssey release date is October 5 for PS4, Xbox One, and PC. Our Assassin's Creed Odyssey review tells you why you should play it.